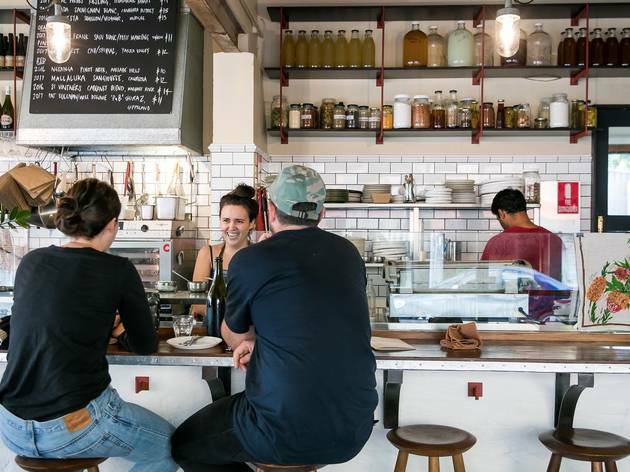 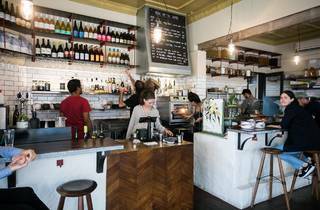 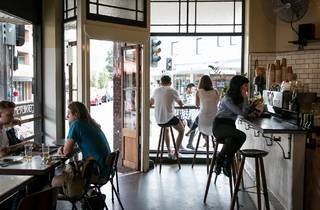 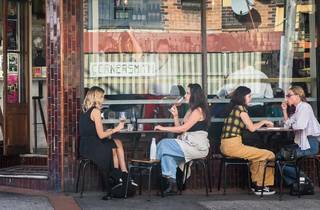 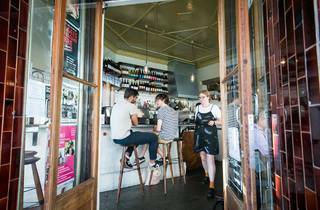 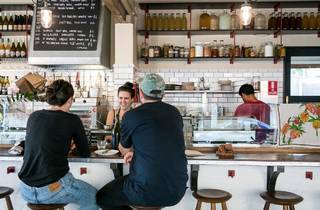 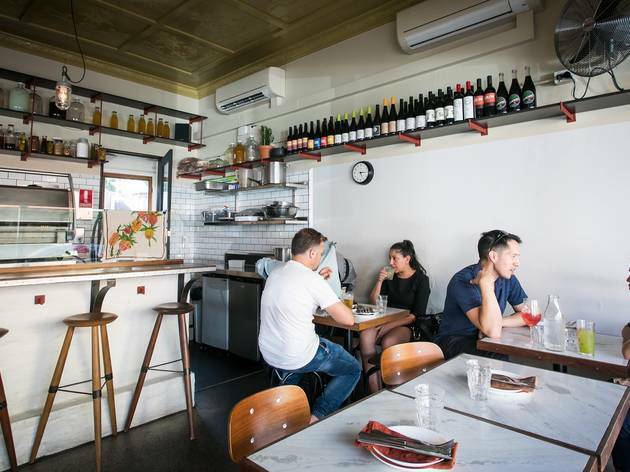 Each year when New Year’s resolutions hit we all try becoming better versions of ourselves, and the same has gone for Marrickville’s Cornersmith, who decided to go into reboot mode, too. 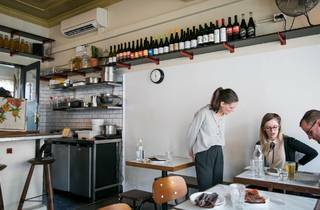 But don’t worry, the change is more like an operating systems update rather than a complete overhaul. 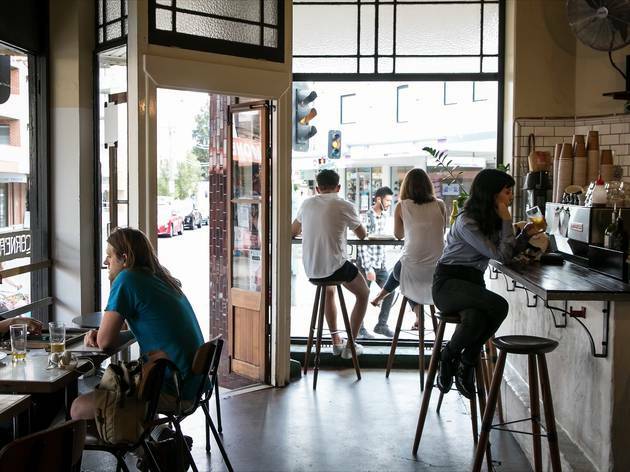 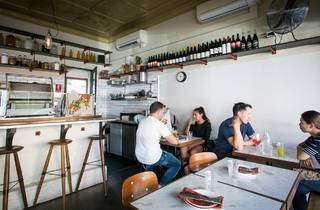 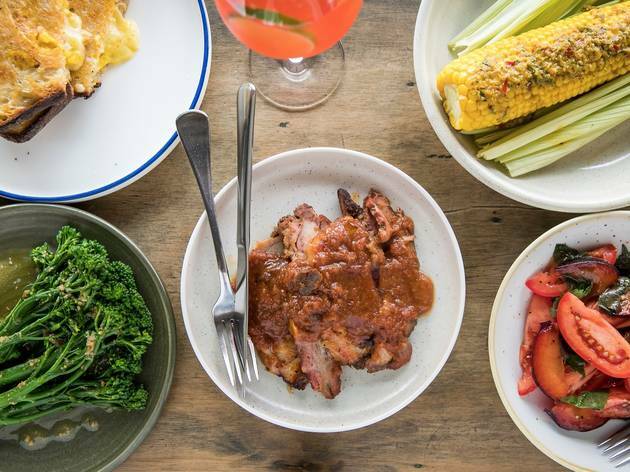 This much-acclaimed café hardly needed improving – it’s already an overachiever. 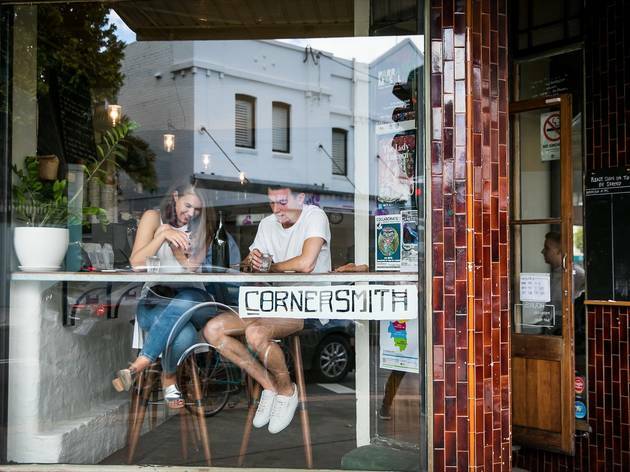 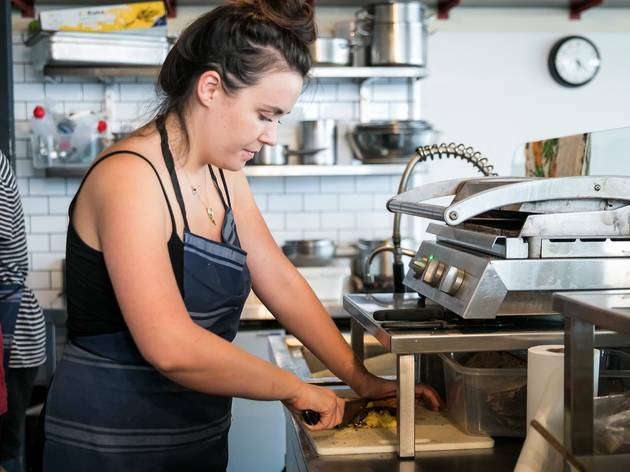 For seven years, Cornersmith has scored high marks for its forward-thinking approach to minimising food waste, using local produce and fermenting, smoking and hand-preserving in-house. 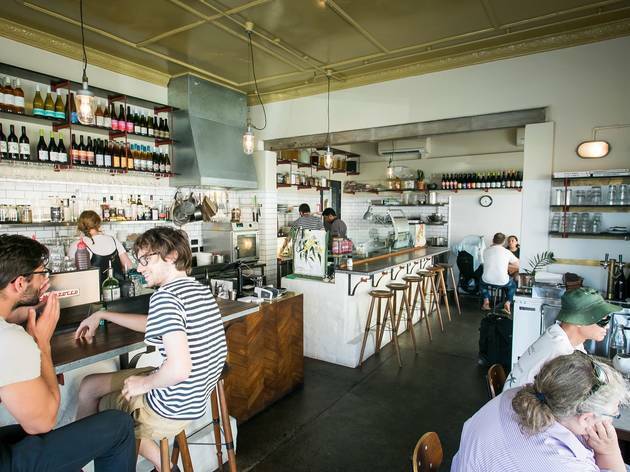 After the OG café opened in late 2011, they also launched the Picklery up the road, where you can learn to make miso, cheese and sauerkraut from scratch, as well as an all-vegetarian café in Annandale and a range of cookbooks. 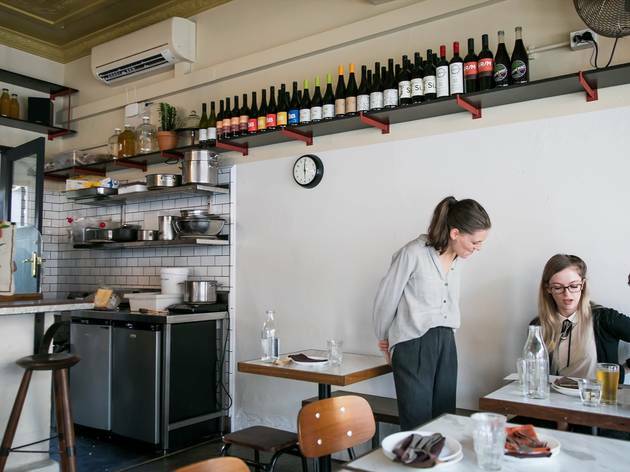 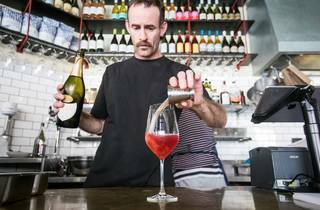 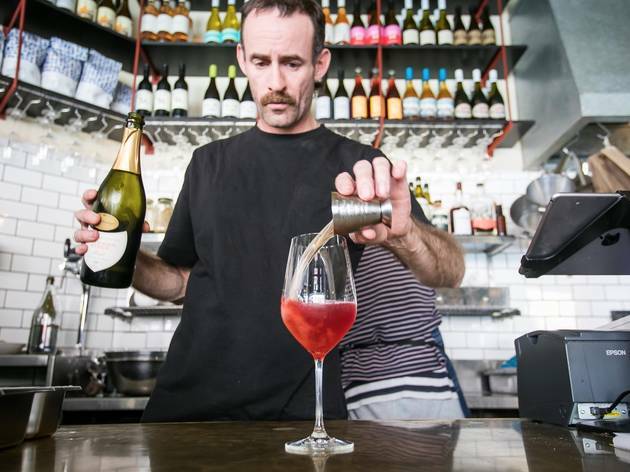 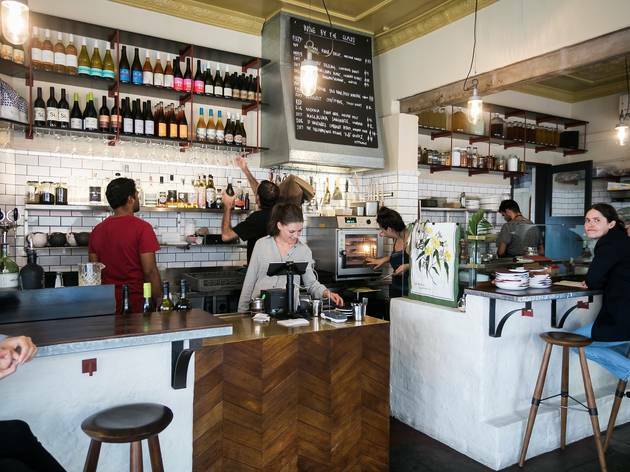 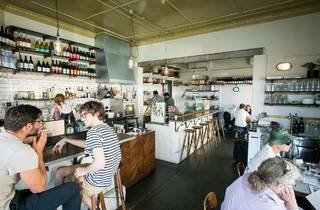 And so they’ve circled back to their flagship venue, where along with a new coat of paint and extra shelving for Australian wines like the Latta pet nat, the café is attempting dinner service again. 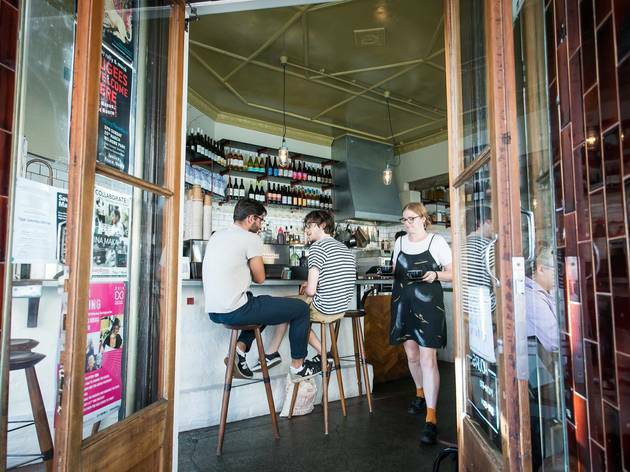 Drop in for organic Wapengo oysters, a platter of Kristen Allan cheese, or say yes to a toastie for dinner. 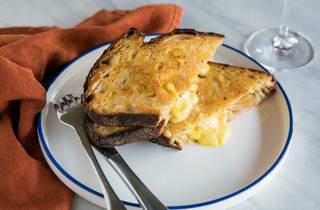 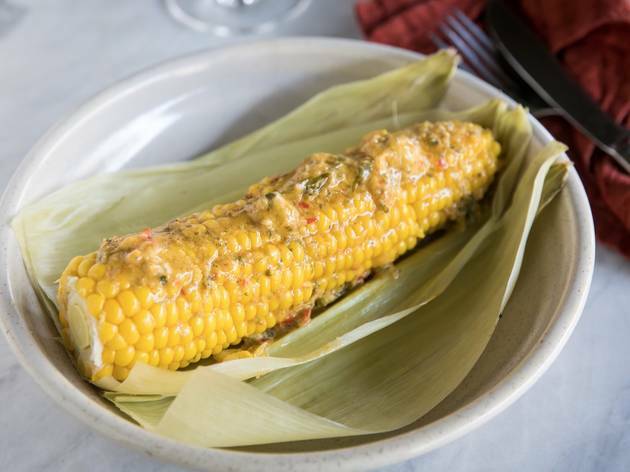 The latter is filled with a creamed corn recipe by head chef Ava Stangherlin (Hotel Centennial): the yellow mess bubbles with melted Maffra cheddar cheese and Cornersmith’s own malt-vinegar onions. 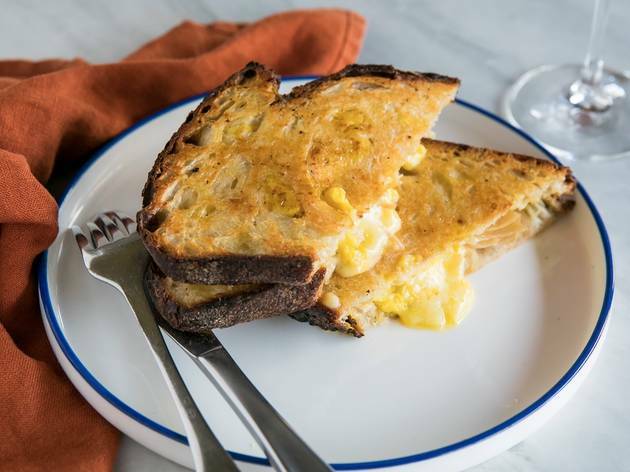 Be grateful that there’s no curfew on ordering this cracking hot sandwich. 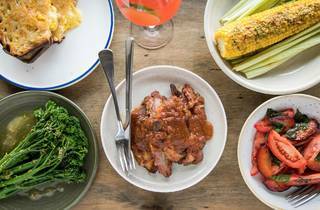 You can also bank up share-plates for a more substantial dinner. 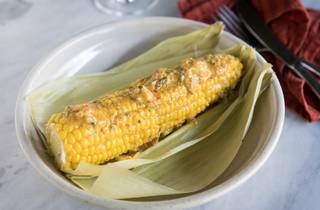 Get the corn with Calabrian butter: an ultra-savoury mix of parsley, oregano, chilli and lemon turbocharging every drop of dairy fat that melts amongst the kernels. 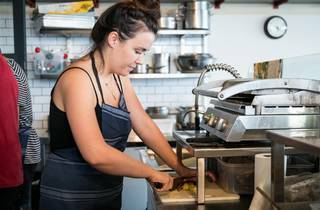 Co-owner Alex Elliott-Howery says she hired Stangherlin because she’s a “butter fanatic”, which is a sound HR policy in our books. 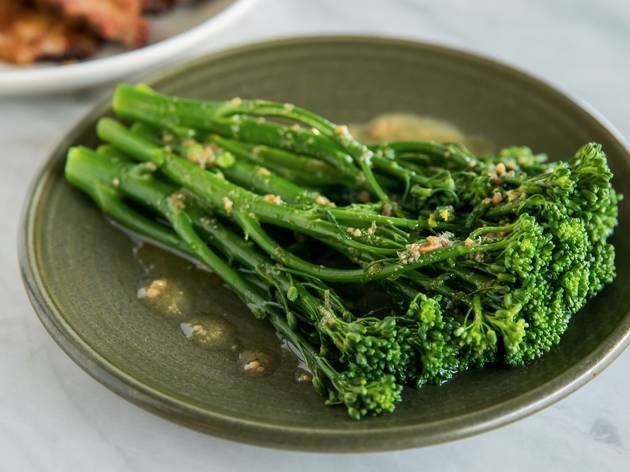 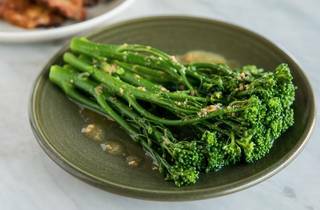 Especially when we turn to Exhibit B: Cornersmith’s broccolini, served with a bagna cauda that’s vegetarian. 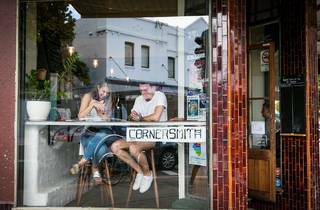 Usually, this dip comes with anchovies, but because the café doesn’t import ingredients, Stangherlin created a clever alternative with lemon, confit garlic and six-month-old miso by Cornersmith’s chief fermenter, Jaimee Edwards. 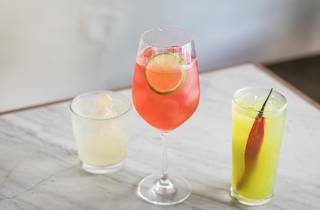 A white peach and tomato salad, garnished with fresh tarragon and shiso comes dressed with vinegar made from rescued tarragon stems and shiso brine. 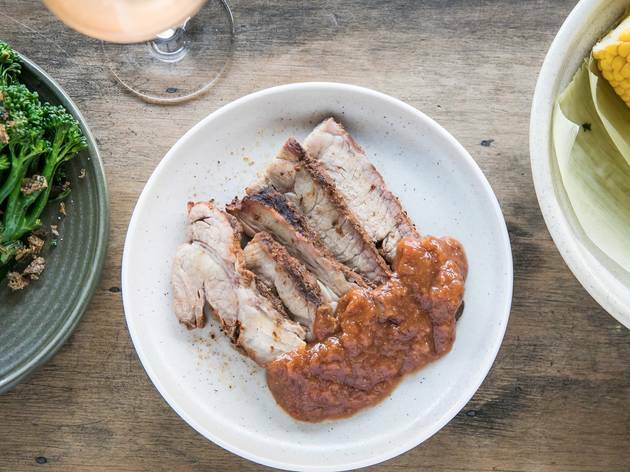 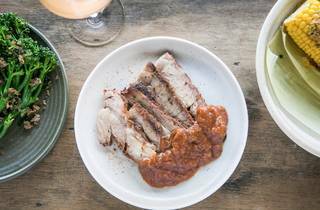 And for something more heavy-hitting, there’s the Crack Willow Farm pork, coated in a traditional Memphis rub and smoked for a day, before being sliced and served with a knockout barbecue sauce made from smoked peaches. 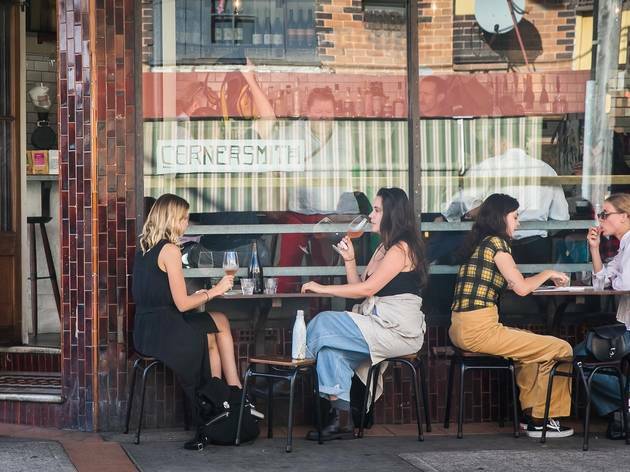 The Marrickville mess is a dessert made with ingredients solely from the titular suburb: the lemon curd is from Cornersmith’s ingredient-bartering program; the garnished thyme was traded from local backyards and the beautiful, intensely sticky apricots have been roasted in Cornersmith’s rooftop honey. 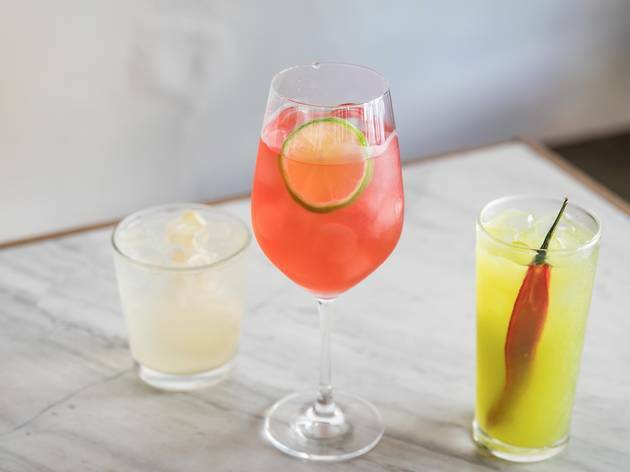 The drinks list by Marc Dempsey (Yellow, 121BC) echoes the venue’s local, organic, small-producer and minimum-intervention focus; even the spirits and bitters are Australian-only. 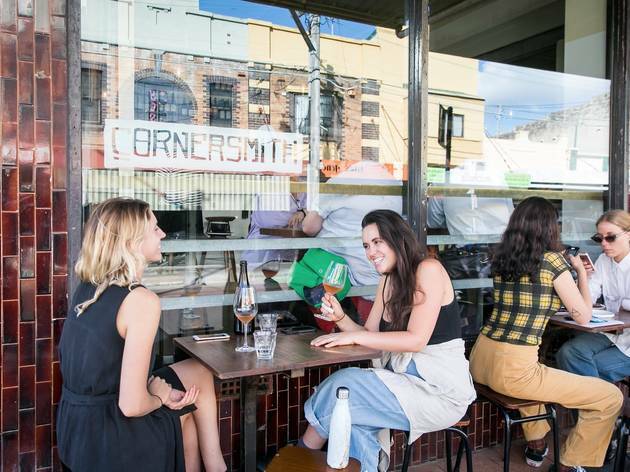 (Take note: the gingery fizz of the Cornersmith G&T is a refreshing entry point.) 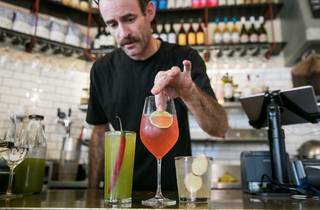 The team recently rescued 150kg of organic strawberries and have transformed the otherwise-landfill-destined produce into a strawberry shrub and kombucha for the Spritzes. 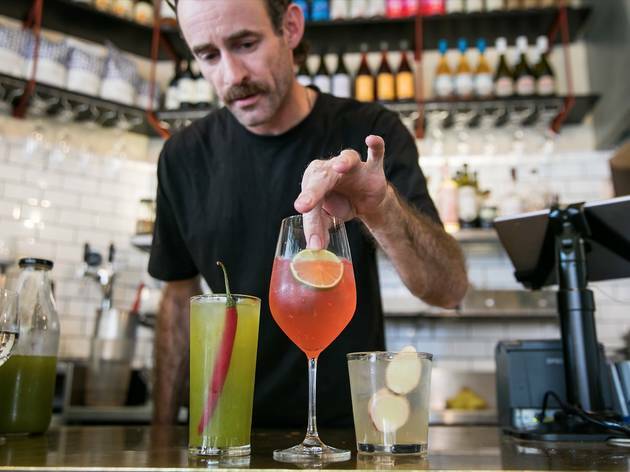 The creative weaponising of food waste into something ultra-appealing is everything that’s great about this venue. 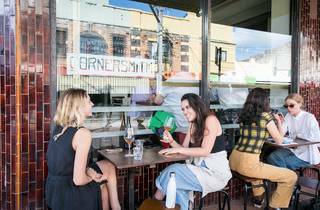 At Cornersmith, doing better is a pleasure, not a burden.